What does a woman want? Some want love; others may want money. I believe that many of us can agree we want to age well. What does that mean? We want our skin to retain a youthful appearance. With busy lives, long hours and stress, our skin can take a beating. With the right skin care products, ladies can fight the signs of aging to make them look as young as they feel. Alpha Hydrox 10% Enhance Lotion can be the product that unlocks your skin's better appearance. Through the use of alpha hydroxy acids, your fine lines and wrinkles are reduced through exfoliation. The key is to release dead skin cells to allow healthy skin to surface. The skin will feel softer, smoother and more radiant. Here are some facts about Alpha Hydrox which features AHAs or alpha hydroxy acids. AHAs are exfoliates. They remove the top layer of dead skin cells. AHAs work by loosineing the glue like bonds that hold dead skin cells to the surface. AHAs are the only skin care treatment that continues to show results over time. The more you use it the better your skin will look and feel. When using AHAs in the morning or during the day, you should also wear sunscreen. Alpha Hydrox has the highest percentage available over the counter. When using this product, I did experience a tingling sensation. After reading the product information, this feeling is normal. It means that the product was working. I have used this product a few times. Since I am prone to sunburns, I prefer to use it at night to avoid sun issue. I have noticed that my skin does seem smoother or less bumpy. Overall, I have seen less imperfections. I appreciate my results and will continue the product. Most importantly for me, this product doesn't cost a fortune. With an under $20 price tag, I don't feel guilty about purchasing a splurge item for myself. 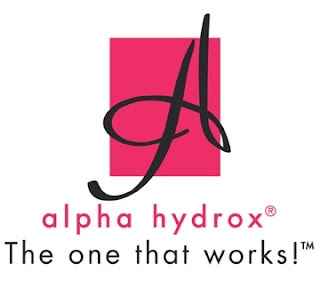 For more information on Alpha Hydrox, check out their Facebook page and Twitter accounts. I need to try this. Thanks for the recommendation! Great price, I expected it to be higher. Thanks for recommending it! I've seen this advertised and wondered about it. It's not as costly as I was expecting. I have dry skin. I will look for this product. Thanks. I am jealous of all the great lotions people keep getting. Good review and clearly honest. Under $20 is a steal. Thank you for the honest review.